The designer is Windows 8 only. Really?! Yes it technically connects to SSAS cubes, but the interface is quite frankly no more than smoke and mirrors. It connects in the same way as QlikView does; it seems that you have to write an MDX query to return an entire fact table at whatever level of granularity you want to be able to filter by. DataZen then pulls back all of the data and then re-aggregates this for your dashboard. This may be ok for a small cube, but with a large measure group that needs to be sliced/diced by a number of different attributes at the same time this quickly becomes a bad idea. It is not able to use the power of SSAS, it treats it as simply another flat data source. Scalability seems to be limited. For example you can provide a flat dataset containing a key and a parent key, and DataZen will turn it into a tree filter for you. Except that I tried this with a 7000 node parent child hierarchy in a tree and it just couldn’t cope. It did eventually load after numerous attempts, but it was so unresponsive that it was unusable. It seemed to work ok with a few hundred nodes. You don’t have to worry about the pixel perfect layout of what’s where, it takes care of it for you. Yes this is a good point, but it also unfortunately means that there is little scope for customisation. This gets frustrating when it doesn’t ‘just work’. For example resizing a chart with a legend, in some sizes on the mobile view the legend was so big it left no space for the chart. It would be nice to be able to turn off the legend for the mobile view or something similar. SSAS calculation logic is not supported. Well, this is an extension of the smoke and mirrors SSAS implementation, but it’s particularly relevant in this point. 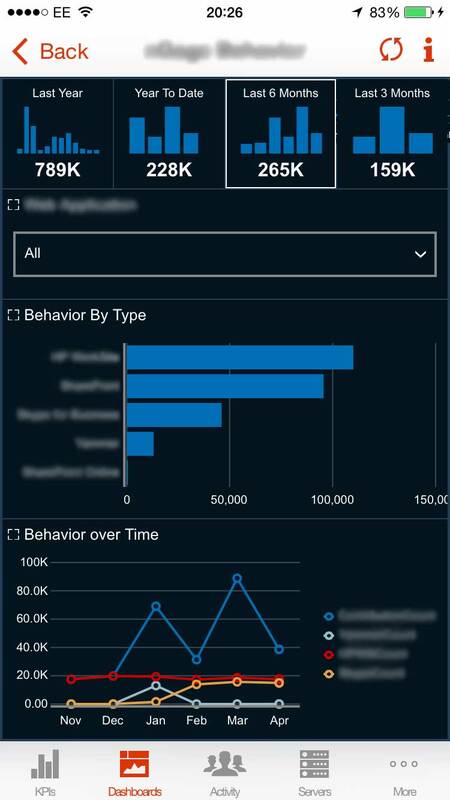 One of our existing clients is a heavy dashboard user, with data sourced from SSAS multidimensional cubes. They have a number of KPIs defined, for which the target is the actual value of the previous period. Now SSAS takes care of this beautifully. If the user selects a month then the target is the previous month’s value. If they select a week then the target is the previous week’s value, etc. However DataZen provides SSAS with no context over what is selected, and so SSAS is not able to dynamically do its magic. Therefore KPI targets cannot be dynamic, they need to be static and fixed at the point of DataZen data refresh. Dates from MDX queries don’t seem to want to hook into the Time Navigator filters, and there’s no way of forcing them to. Although I’m guessing that this is a problem with how I’m doing it, so probably not fair to include it here. I’ve not been playing with the tool for very long, so I may find ways around all of this. 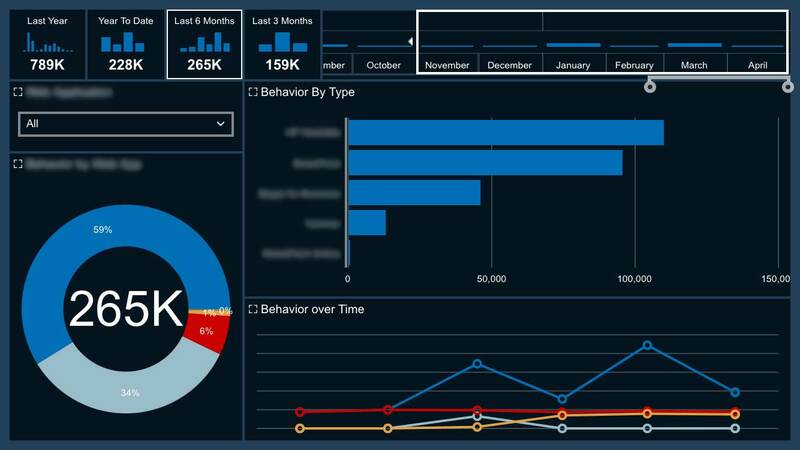 However at the moment I’m concerned that Microsoft are placing their dashboard/analytics future on a product that doesn’t properly support SSAS. In my mind the core strengths of the MS Business Intelligence offering is underpinned by the power of cubes, backed up with SSIS and a the strength of the SQL Server database platform. To buy into a dashboarding platform that doesn’t support and build on this is a cause for concern. My hope/expectation is that Microsoft take elements from PowerView (that does properly support realtime queries against a cube) and elements from ProClarity/PerformancePoint (e.g. the decomposition tree, etc. ), and embed them into DataZen. In which case they could end up with an awesome product. Yes I’m a cube guy, so I’m naturally focused on the poor SSAS integration. If you don’t use cubes then you’ll probably love it. But MS have some work to do to bring me around. I couldn’t agree with you more. I have been evaluated Datazen and I am very disappointed with its lack support of SSAS. What is its plan to support a large dataset? It’s fancy but there is no depth in this tool. I believe that DataZen functionality will be merged with PowerView, although that is not based on anything official from Microsoft. However will that be a case of incorporating DataZen functionality into PowerView? 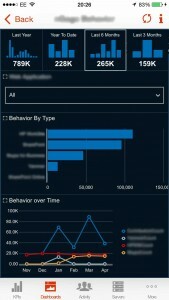 Or incorporating PowerView functionality into DataZen? This remains to be seen. 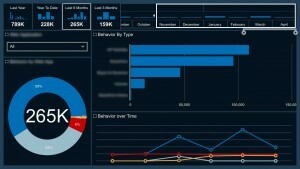 Not sure for Cubes, but with SQL Server DB as a source you can actually make real time dashboard. This allows you to add parameters to queries, and don’t have the need to download the full table or result set. Downside is off course that using these dashboards offline (on mobile devices) isn’t possible anymore. Dates from any SQL query will not hook up to the Time Charts/Navigators when using the SUM aggregation, all other aggregations function correctly, unfortunately, this means that time charts/navigators are only any use when using (for example) a count of rowcount where the column contains only integer 1. If you find a way to use the SUM in conjunction with time then please add a blog post. Another workaround is to aggregate to the lowest granularity, then force the ‘time unit’ on the ‘layout view’ to only display that level and the aggregate by MAX. There are in addition far too many other foibles with this product: strange percentages when using funnel charts, regular dropped metric attachments on the data view and a lack of bing map layer data support on the maps to name but a few. I specialise in designing and implementing SQL Server business intelligence solutions, and this is my blog! Just a collection of thoughts, techniques and ramblings on SQL Server, Cubes, Data Warehouses, MDX, DAX and whatever else comes to mind. SQL Server 2016 Licensing Changes, SP1, v.Next CTP1, etc.